Whenever your computer logs on, some programs start automatically without any permission from the user. These programs are called ‘Startup Programs’. Installation of different softwares and applications on your laptop makes it longer for your computer to Startup things. As they consume a lot of Startup time, they make PC run slow. Click on Windows search bar positioned at the bottom left of your screen. Type “msconfig” and click on the first option provided to open System Configuration. 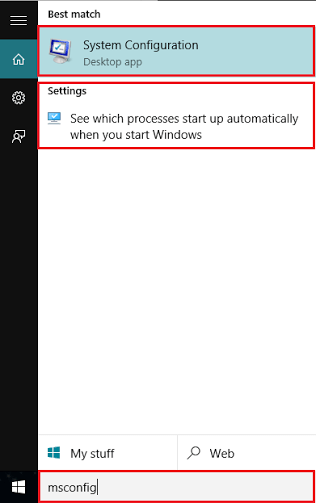 Alternatively, you can click on “See which process start up automatically when you start Windows” to directly access the Startup option in the Task Manager. Note: If you are using an older build of Windows 10 (Old builds of Technical Preview), you may not have this feature. Look for “Startup” and click on it. Then, click on “Open Task Manager”. Click on any of the Startup item and then click on “Disable” button which is positioned at the lower right corner of your window. 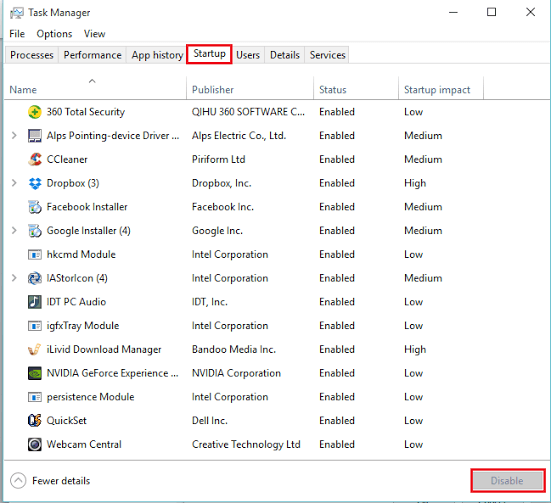 So, by following these steps, you can disable the startup programs and make your computer run faster. 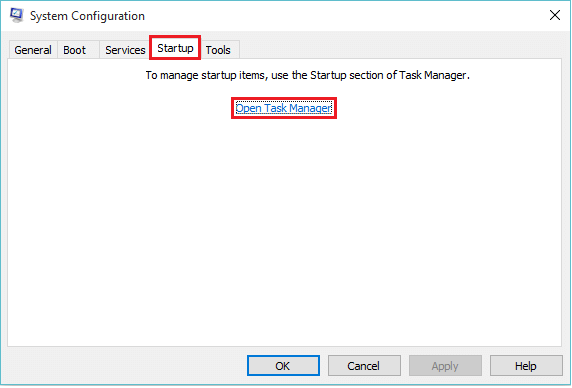 Note: You can directly access Task Manager without accessing the System Configuration, Just right-click on the “Start” icon on the lower left corner of your screen and click on “Task Manger”.